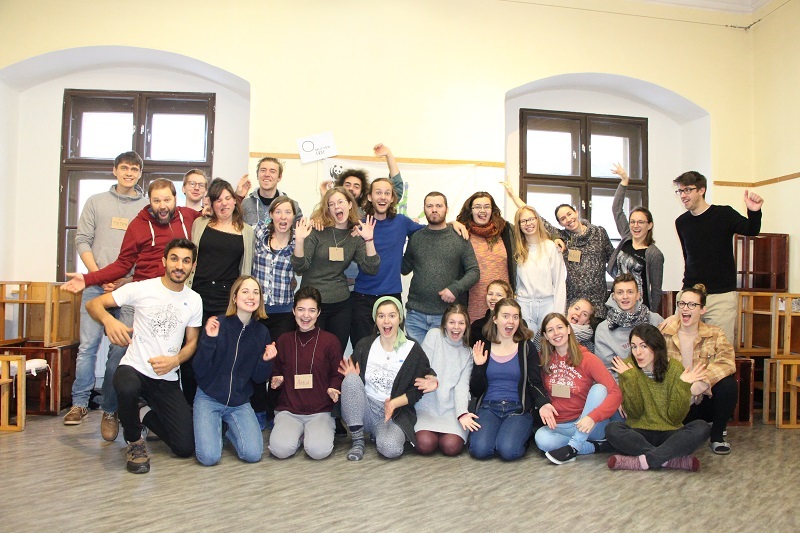 Ideenschmiede 2019: These are our projects! We are looking for motivated people, who want to get active with us on the topic of “plastic and addressing the consumption-based society”. 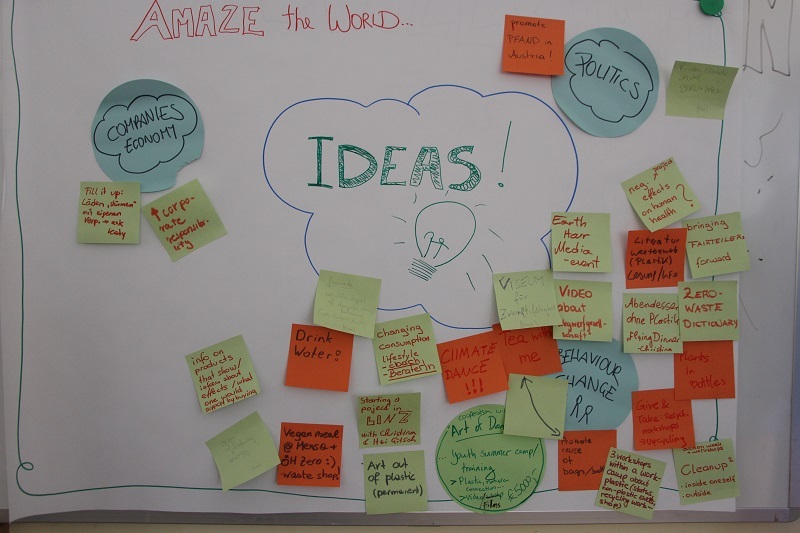 We are excited to share with you our 16 project ideas, which we gathered at this years Ideenschmiede! If you are interested in joining a group, check out the application form here. Make sure to tell us, which group you are interested in joining. We are looking forward to have you on board! The Earth Hour is the biggest symbolic climate campaign in the world in which millions of people show climate action by turning down their lights between 8:30 p.m. and 9:30 p.m on 30 March 2019. Therefore, on the evening of Earth Hour we want to organise a special event for young people to participate. Find more about the Earth Hour here. As podcasts are a great medium for young audience, we want to start or own podcast on the topic of youth empowerment. The seminars should focus on reinvesting money in pro-environmental ventures, away from negative investments. As last years Riverwalk was a huge success and a lot of fun, we will be back this year with various acitivites, workshops and other super cool stuff. Find out everything about the Riverwalk 2018 here. 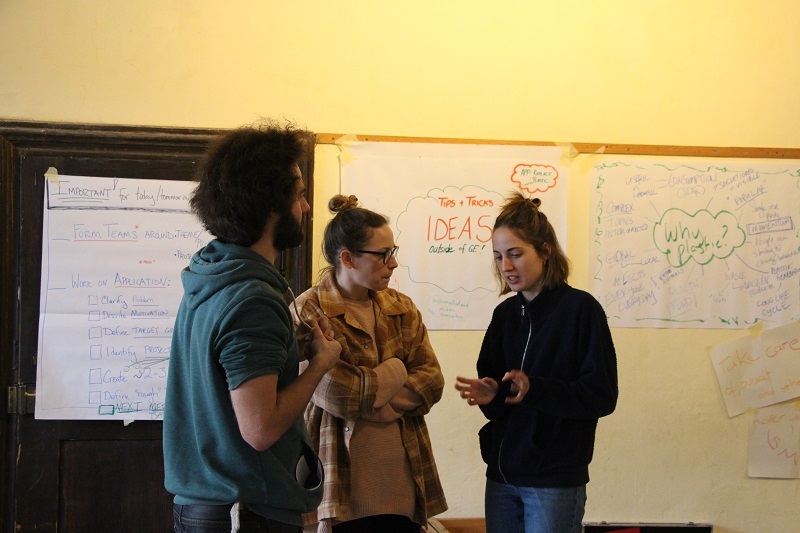 We will focus on workshops and working on sustainability projects in Germany (near Leipzig). Art4Change will explore the overlap of using art for activism, focusing on film but also other forms of expression as well as the topic plastic in the Danube. We are organising a contest for youth to express themselves through writing, focused on plastic. 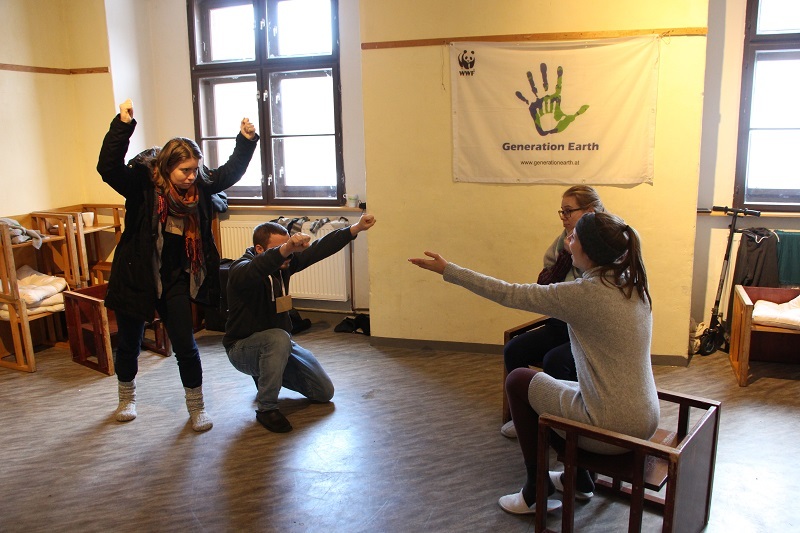 “Training the trainer” for offering workshops and activities on the topic of Ecological footprint. Mainly focusing on targeting Generation Earth members. We want to achieve a deeper connection to ourselves and nature with a focus on plastic and how it impacts us. Implementing a “Regulars table” in Linz for Upper Austria and west of Vienna with the aim to create projects. We want to start planning and organising a panel discussion about multidimensional effects of plastic on our lives. Microplastics in cosmetics is a real thing. We want to start a project focussing on green alternatives. There are two school workshops planned. One to inform children about plastic (-waste) and the other to create their own sustainable alternative for one plastic product in their daily life. workshops for primary and high school kids about the problems the world is facing because of plastic waste today and why plastic consumption should be reduced/replaced.